Gurgaon is an incredible city and one of the fastest growing parts of the National Capital Region that is simply irresistible. Without a doubt, Gurgaon is one of the most loved cities in the country today for all that it has to offer its inhabitants. A life in Gurgaon is nothing short of amazing! 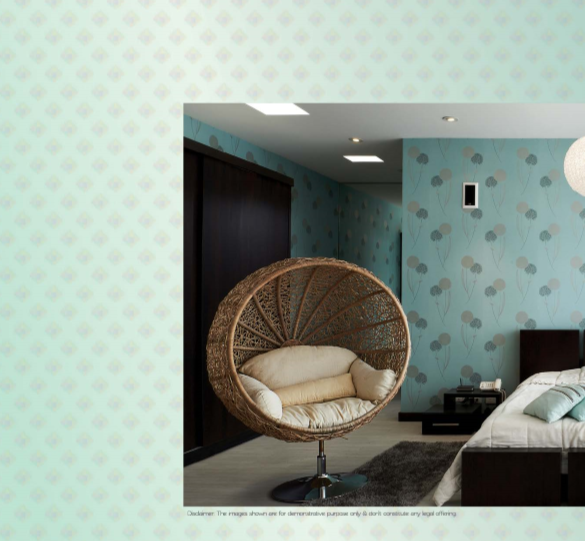 ATS Tourmaline is one of the latest residential projects in Gurgaon by ATS Group filled with divine architecture that will satisfy your soul. Extended over 10.40 acres of land, this development contains 5 beautiful towers that are crafted to perfection and offer 3BHK and 4BHK luxury apartments of different configurations that are simply splendid. With apartment areas starting from 1750 sq. ft. and going up to 3150 sq. ft., experience the comfort of elegant luxury space that will meet all your needs and requirements. 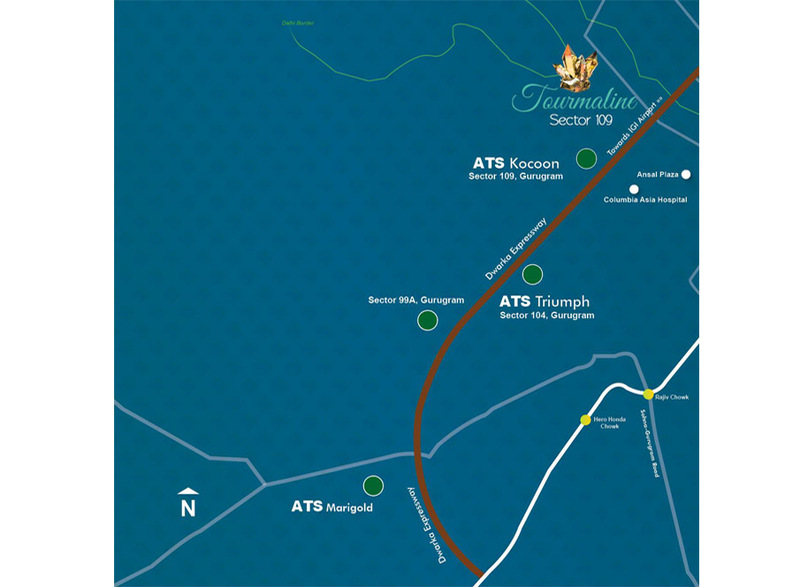 ATS Tourmaline Gurgaon is a unique development that offers premium luxury and comfort that you and your family will always admire and love. With a wide range of high-end internal and external amenities, this is where you can live the high-life each and every day. The apartments are super-spacious and contain stylish fittings, vitrified flooring, wooden/vitrified flooring in bedrooms, balconies and washrooms with anti-skid ceramic flooring, perfectly located high-quality electrical ports with plastic switches, split AC’s in bedrooms, family, dining and living room, fabulous kitchens with pre-polished marble/granite counters, modular cabinets and dado tiles, OBD paint, flush doors, windows with aluminium/hardwood/UPVC panels, etc. 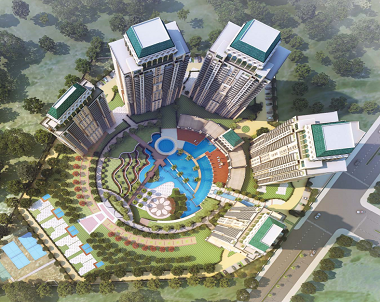 The external amenities at this residential development are world class and will blow your mind. They include a clubhouse, multiple sports facilities, and play-area for kids, gymnasium, jogging track, swimming pool and jacuzzi, Wi-Fi connectivity, amphitheater, paved compound, multipurpose hall, landscape garden and the list goes on. You will also find fast elevators, intercom facility, power back-up, alarm systems, and good security with video surveillance at this development. Located at Sector 109, Gurgaon, this development comes in close proximity to plenty of landmarks and offers total convenience that will always keep you happy. Places likes schools, hospitals, malls, shopping centres, supermarkets, restaurants, cafes, banks, ATMs, public transport and a lot more can be accessed without any hassles. The ATS Tourmaline price is affordable and totally hard to believe. Spacious apartments with luxury amenities at a low cost, now that is a deal you definitely do not want to miss! Choose from a number of payment plans according to your convenience and opt for easy home loan facilities through associated banks. Most prestigious resident enclaves in Delhi/NCR. Located at Sector-109, Dwarka Expressway, Gurgaon.